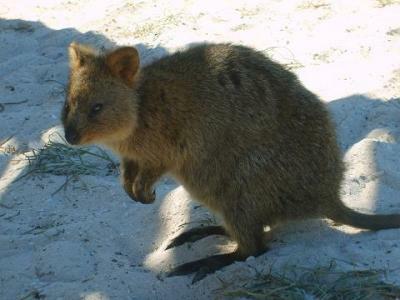 Although numerous on the small offshore islands, it has a very restricted range and is classified as vulnerable. On the mainland, where it is threatened by most introduced predatory species such as foxes, it requires dense ground cover for refuge. Clearfell logging and agricultural development has reduced this habitat, thus contributing to the decline of the species. The introduction of cats and dogs, as well as dingoes, has added to the problem, as has the clearing and burning of the remaining (swamp) lands. 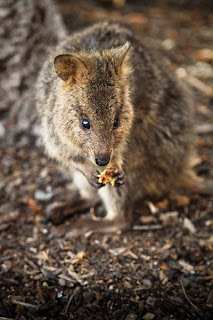 Quokka kangaroos, like all herbivoresand feed on grasses, herbs and leaves. 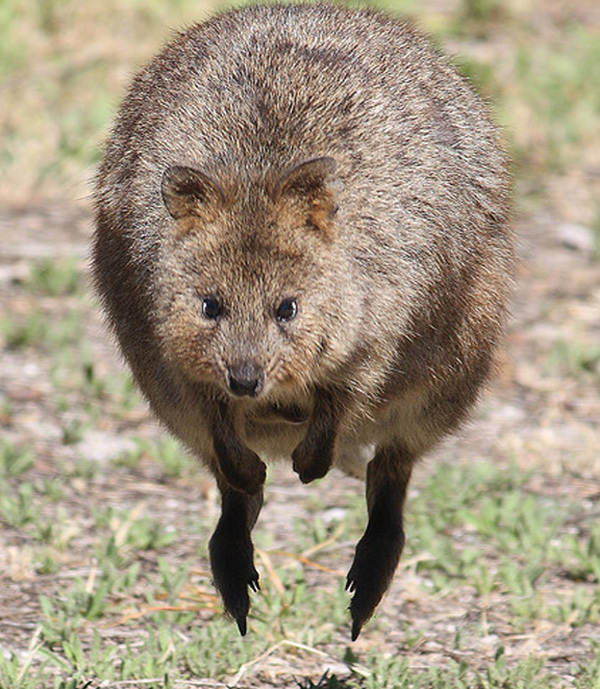 In search of food, they climb up to 1.5 meters high. A multi-chamber stomach and special bacteria help them in the recycling of indigestible food. 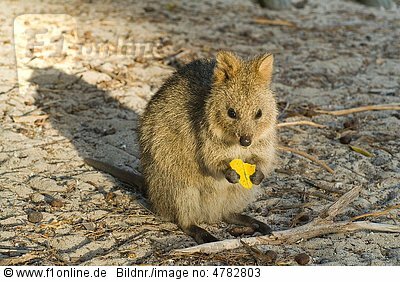 The quokka weighs 2.5 to 5 kilograms and is 40 to 90 centimetres long with a 25 to 30 centimetres -long tail, which is fairly short for bigfooted animals. It has a stocky build, rounded ears, and a short, broad head. Although looking rather like a very small, dumpy kangaroo, it can climb small trees and shrubs. Its coarse fur is a grizzled brown colour, fading to buff underneath. 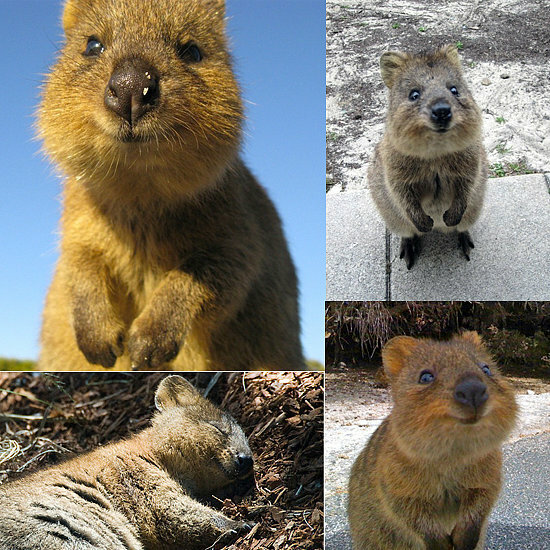 The Quokka the only member of the genus setonix, is a small macropod about the size of a domestic cat.. Like other marsupials in the macropod family (such as the kangaroos and wallabies), the quokka is herbivorous and mainly nocturnal. 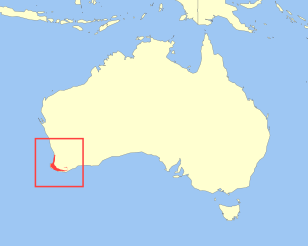 It can be found on some smaller islands off the coast of Western Australia, in particular on Rottnest Island just off Perth and Bald Island near Albany. 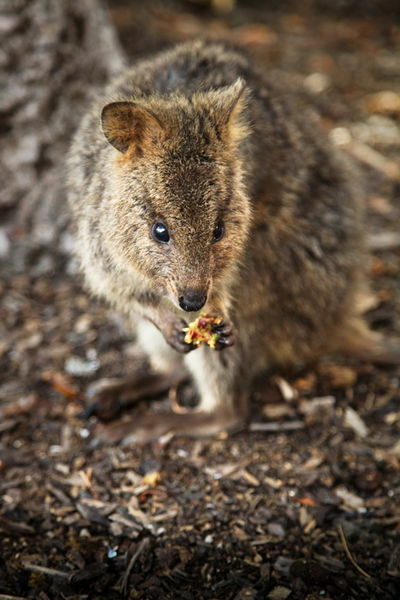 A small mainland colony exists in the protected area of two peoples bay nature reserve, where they co-exist with gilbert's potoroo.